The Peoples Democratic Party, PDP, have taken an early in Kwara State amidst concern regarding the heavy military presence in the State. Heavily armed military and DSS are positioned every poll in Ilorin metropolis and Kwara State at large. It was gathered that an Airforce fighter jet was deployed to the State yesterday to add to the Federal might. It has been reported that the Nigerian Army in Kwara State has allegedly allowed and in some cases partook in targeted harassment of PDP agents, forcing them to leave the polling units where they have been assigned. This took place in a large number of polling units around Ilorin and Kwara South, as the army reportedly chased agents suspected to be of the PDP, from the polling units, threatening mayhem, if they come back. 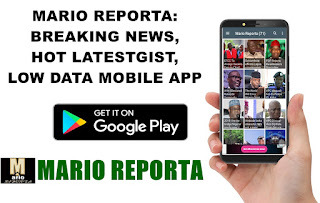 As at the time of filing this report, the military has already whisked away the Ajikobi Ward youth leader to an unknown location, on the order of the APC chieftain; Kale Shiru. That not withstanding, the PDP is reportedly in an early lead across most parts of Kwara South and Ilorin, as Kwarans defy alleged military invasion to cast their votes.